There are hundred of ways to celebrate today and our Earth but one that you might want to know about is shopping at The Reformation. One of my favorite companies who makes unbelievable pieces all while being green and helping our earth stay pretty for the future is celebrating by offering 20% off all purchases with the promo code BESTONEARTH…. Stop! Do you know cotton is not the fabric you thought it was and fashion is the second largest user of water after agriculture? Well head to The Reformation and read more about why while you browse their fantastic collection, including their limited edition tencel sweatshirts. What makes this garment amazing? 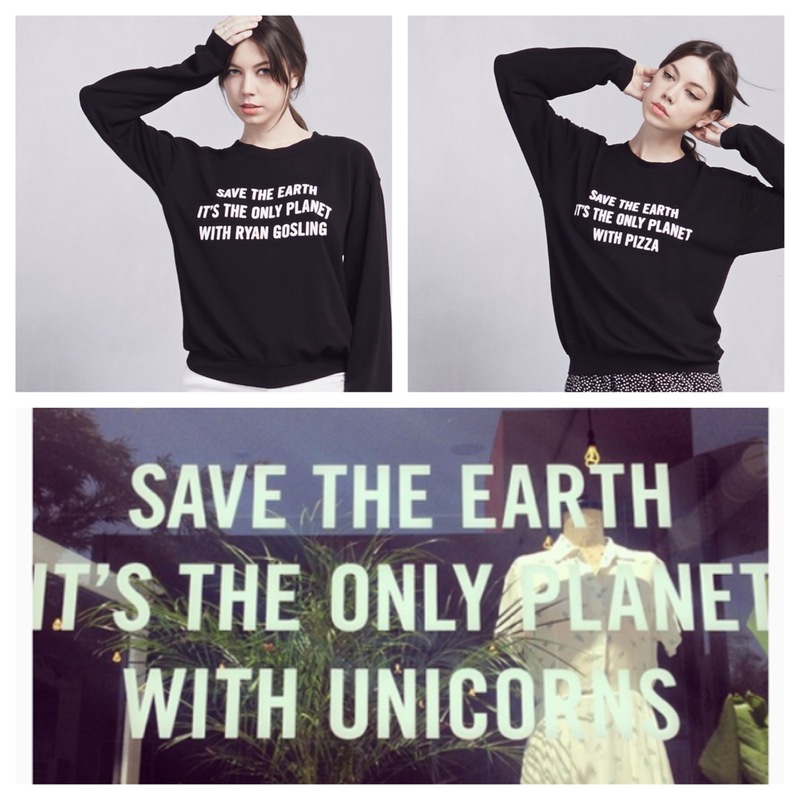 100% of the profits from this sweatshirt are given to the Tree People, an organization who wants to save the planet, so get yours before they are all sold out. Celebrate Mother Earth today and everyday it’s the only home we got!